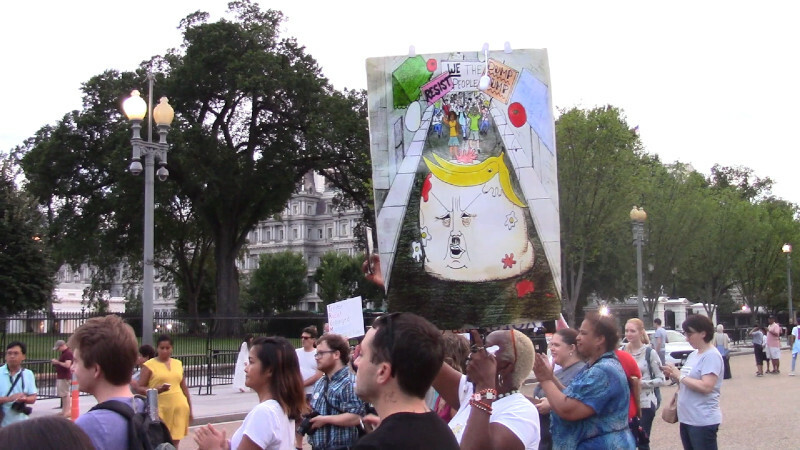 On the 14th of August, OccupyLafayettePark was back in front of the White House demanding that Trump resign or be impeached. They also were on the previous night, the 13th of August. The huge mess created by Unite The Right has not protected the fascist inside the White House from ongoing protests against his regime. August 14th was also the day the defense in Paul Manifort's bank fraud case announced they would not make a defense in court after the prosecution rested their case. Perhaps there is no defense that can be made without either committing perjury or making Manifort look like the fool he is?